The Lamb Foggo Urgent Care Centre in St David’s will be open from 4.00pm to midnight on Thursday and Friday, and from noon to midnight on Saturday and Sunday. 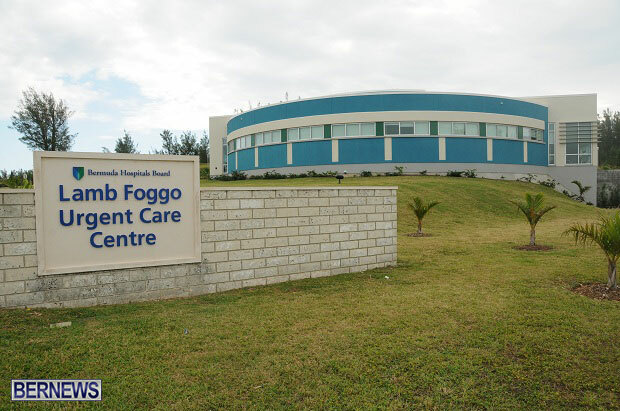 A spokesperson said, “Bermuda Hospitals Board wishes the public a happy and safe holiday weekend, however if urgent medical care is required the Lamb Foggo Urgent Care Centre [UCC] in St David’s will be open from 4pm to midnight on Thursday and Friday and from noon to midnight on Saturday and Sunday. “Please note that if your condition is serious, you should go straight to the Emergency Department of King Edward VII Memorial Hospital [KEMH]. There are very limited diagnostic imaging [x-ray] and laboratory testing capabilities at the UCC. “The UCC offers services to assess and treat minor illnesses or injuries that need immediate attention, but are in no way life threatening and are not likely to need surgery or sophisticated diagnostic equipment. This includes sprains, strains, scrapes, cuts, coughs, colds, earaches, bumps and bruises. “The UCC is open every weekday from 4pm to midnight. Regular Saturday and Sunday hours are from noon to midnight. “BHB also reminds the public that KEMH Emergency Department physicians see and treat patients based on the seriousness of their conditions, not in order of arrival. Emergency Department staff will tell you your level of severity and expected wait time when you arrive.